Specializing in MONSTER CHANNEL CAT fishing trips since 1999. Tours start mid May till the end of September. All bait equipment supplied. 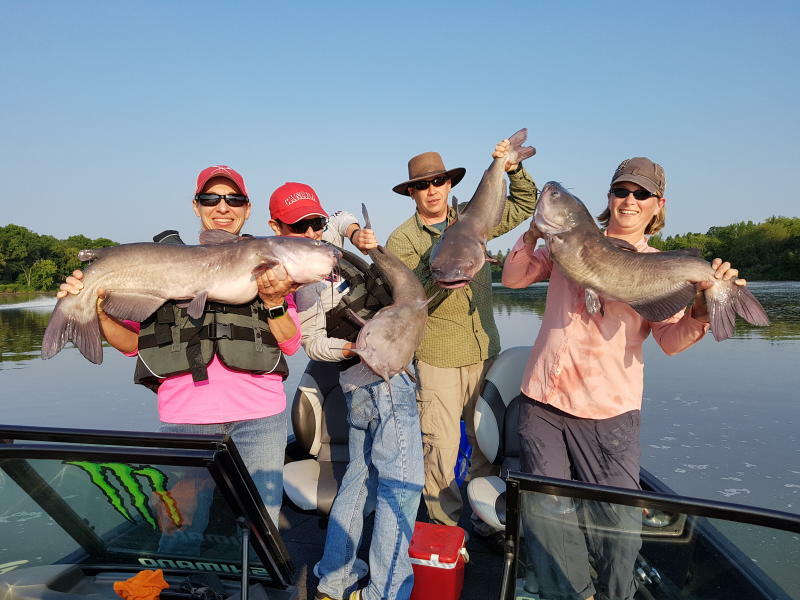 You have not lived until you have set the hook on a MONSTER CHANNEL CAT! World famous Greenback Walleyes tours on Red River beginning October till November in Selkirk, Manitoba. All bait and equipment supplied. Walleye fishing in Whiteshell Provincial Park available mid May to end of September. All bait and equipment supplied. Ice fishing available on Lake Winnipeg for HUGE Greenback Walleye. Fish in style with new Ice Ridge Reaper Track Van. There is nowhere we can't go on Lake Winnipeg. Seating up to six people. Fishing equipment available upon request. Hot barbeque lunch provided. If you don't have a great day of fishing your next trip is free! We can customize your trip to your specific needs. 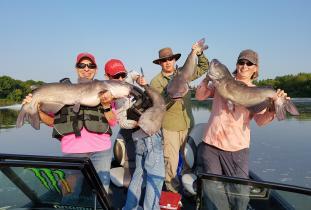 SPECIAL RATE FOR CORPORATE BOOKINGS for Walleye and Channel Cat trips! !